Crossroads East for Men is a subsidiary of the Crossroads Organization that has six facilities at different locations. Crossroads East for Men is dedicated for adult men aged 18 and older. It was built in 1960 and has continued to expand its services since then. The facility offers alcohol addiction and substance abuse treatment services through high quality residential and outpatient recovery programs. The mission at Crossroads is to provide comprehensive yet affordable treatment to its clients to help them against alcoholism and substance abuse. The facility holds high values such as good quality, empathy, hope, and affordable services. Through dedicated services based on these values, they are able to enhance personal growth, accountability, self-sufficiency, and healing in clients. The facility consists of a highly qualified and dedicated staff comprising of an administrative staff, program staff, clinicians and nurse practitioners. Through tried and tested therapies and proven treatment modalities, patients are able to leave their past behind and step on the road to recovery. Each patient is treated as an individual at Crossroads with personalized treatment plans created for each one. This ensures that everyone is provided with a unique recovery experience that meets the individual’s treatment preferences. 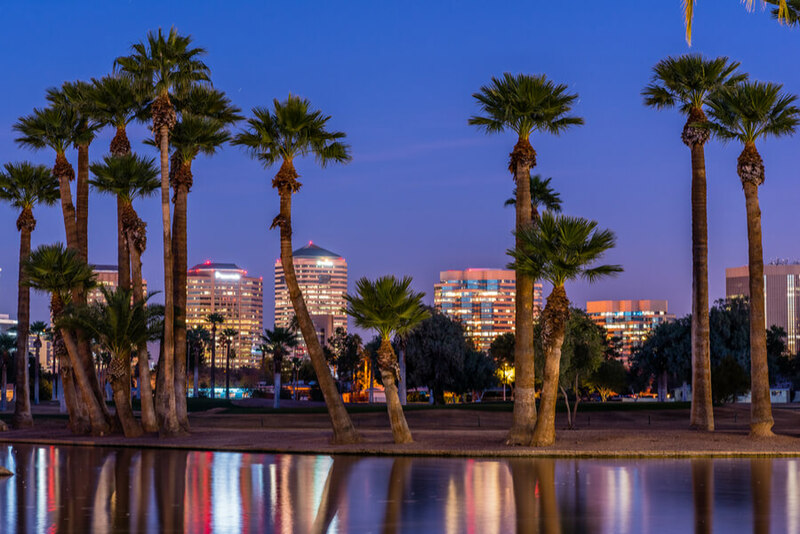 Crossroads East for Men was established in 1960 in the beautiful city of Phoenix in Arizona. It is a 48-bed facility built as a simple campus. It consists of 12 bedroom units. Each bedroom has two bunk beds accommodating a total of 4 patients. The bedrooms are adequately furnished with dressers, lockers, closets, personal workspace, and a television. Each bedroom has an attached bathroom with shower. The facility has outdoor courtyards equipped with chairs and tables for communal gatherings. The center provides laundry facilities for residents but they are required to take part in other chores each day. These normally include small cleaning and maintenance tasks. Residents are also provided with free time when they can relax, read or watch TV. Crossroads has a Maricopa County Department of Health Licensed commercial kitchen that has a skilled staff. The kitchen staff prepares healthy and nutritious meals three times a day which are served in a large dining hall where all residents dine together. There is also an outdoor seating area where residents can eat their meals. Residents spend all their time together whether it is in doing chores, eating or just relaxing. This community living helps in positively enhancing their self-esteem which in turn helps in their recovery. Crossroads East for Men offers residential treatment programs that are further divided into phases. The first phase of residential treatment for 30 days costs $2,370. After completion of this phase, residents can choose to admit in the second phase of treatment which spans 90 days for a total cost of $3,600. These prices include all amenities and meals that the facility provides. This cost can be paid by the patient/family or through an insurance company that is accepted by Crossroads. The facility also accepts AHCCCS. The admissions staff guides patients and their families about all the financial and insurance options. Crossroads East is one of the pioneers of providing substance abuse treatment in Arizona. With more than 50 years of experience, they have been successfully offering high quality and affordable residential and outpatient treatment to men. They employ the peer-guided care in which individuals who have successfully completed their treatment programs and are in recovery themselves are able to help patients, guide them and teach them the skills that are necessary for their successful transition back into society. Patients are offered counseling and addiction education so that they can overcome their problems. They are empowered so that they gain confidence to become healthy, self-sufficient and healed individuals. Crossroads is also the leading treatment provider to Veterans under the Veteran’s Administration contract. They also offer services to ex-offenders and homeless through state contracts and court orders. Lee Pioske joined the team at Crossroads in 1998. He has been successfully leading the facility for over 20 years now. His mission is to help and offer treatment services to anyone who wishes to lead a new life free from addiction. Under his administration, the facility continues to grow and improve its level of care and treatment. Greg Halvorson joined Crossroads in 2012. He is the program coordinator at the Crossroads East for men. His responsibilities include coordinating different aspects of the various programs that the facility offers and ensure its smooth functioning. He believes that they are able to help and bring about a positive change in the lives of hundreds of individuals and their families each year. Delia joined Crossroads in 2016 as the Clinical Supervisor. She supervises the clinical team as well as holds sessions with patients. Her mission is to be as welcoming to the clients as possible so that they feel they are entering their home and not a rehabilitation facility.